The heart of Pakistan, the vibrant state of Punjab is named after the five rivers of the region – the Sutlej, Ravi, Beas, Jhelum and Chenab. 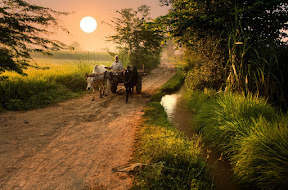 Punjab is Pakistan’s most verdant province and home to more than half of the nation’s population. Oct. 10, 2015, 1:01 a.m.